The killing of fiery American-born cleric Anwar al-Awlakiin Yemen is a "major blow" to al-Qaeda's most dangerous affiliate, U.S. President Barack Obama declared Friday. 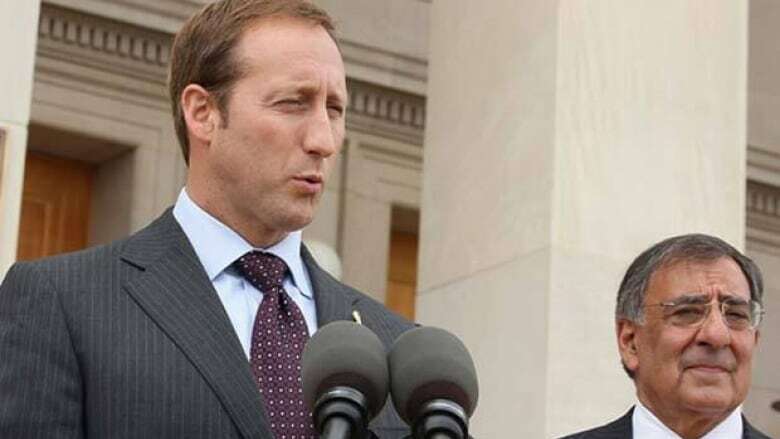 U.S. Defence Secretary Leon Panetta and Canadian Defence Minister Peter MacKay applaud killing. The killing of a fiery American-born cleric in Yemen is a "major blow" to al-Qaeda's most dangerous affiliate, U.S. President Barack Obama declared Friday. Anwar al-Awlaki, and a second American, Samir Khan, were killed by a joint CIA-U.S. military air strike on their convoy in Yemen early Friday, U.S. officials said, speaking on condition of anonymity. Both men played key roles in inspiring attacks against the U.S.
Two U.S. officials added Friday that U.S. intelligence indicates the top al-Qaeda bomb-maker in Yemen also died in the drone strike. Ibrahim al-Asiri is the bomb-maker linked to the bomb hidden in the underwear of a Nigerian man accused of trying to blow up a plane over Detroit on Christmas Day 2009. The FBI pulled al-Asiri's fingerprint off that bomb. Authorities also believe he built the bombs that al-Qaeda slipped into printers and shipped to the U.S. last year in a nearly catastrophic attack. The officials spoke on condition of anonymity because al-Asiri's death has not officially been confirmed. Earlier, seeking to justify the targeted killing of a U.S. citizen, Obama called al-Awlaki "the leader of external operations for al-Qaeda in the Arabian Peninsula" and outlined al-Awlaki's involvement in planning and directing attempts to murder Americans. It was the first time the U.S. has described al-Awlaki that way, and Obama appeared to be presenting a legal justification for eliminating him. Anwar al-Awlaki speaks in a video message posted on radical websites in 2010. Yemen's Defence Ministry said the U.S.-born al-Qaeda cleric has been killed. ((SITE Intelligence Group))He directed the failed attempt to blow up an airplane on Christmas Day in 2009 and the failed attempt to blow up U.S. cargo planes in 2010, Obama said. "And he repeatedly called on individuals in the United States and around the globe to kill innocent men, women and children to advance a murderous agenda." Al-Awlaki, a U.S. citizen, born in New Mexico to Yemeni parents, had not been charged with any crime. Civil liberties groups have questioned the government's authority to kill an American without trial. The White House refused to offer evidence of al-Awlaki's role in terrorism or answer questions about the standard for killing an American. Press secretary Jay Carney said any such questions dealt with the circumstances of the killing and he refused to discuss that. U.S. Defence Secretary Leon Panetta, who was meeting with Canadian Defence Minister Peter MacKay at the Pentagon in Virginia, told reporters the killing of al-Awlaki underscored what he called "a bad year for terrorists." "We had always had tremendous concerns that after getting [Osama] bin Laden that someone like Anwar al-Awlaki [would become] a primary target because of his continuing efforts to plan attacks against the United States … so this country is much safer as a result of the loss of Anwar al-Awlaki." Panetta congratulated Yemeni officials for their intelligence and operational assistance that led to Friday's successful military strike. "We've been working with the Yemenis over a long period of time to be able to target al-Awlaki and I want to congratulate them on their efforts — their intelligence assistance, their operational assistance — to get this job done." MacKay, who was in Virginia for discussions on Canada's purchase of the F-35 strike fighter and matters related to Canada's continuing role in NATO-led attacks on Libya, said al-Awlaki's death was "good news, not only for the United States and North America. This is making the world a safer place." Obama was first briefed on the CIA-special-operations strike early Friday by counterterrorism adviser John Brennan, and a second time later in the morning in the Oval Office, Carney said. Obama refused to say whether he'd personally given the order for al-Awlaki to be killed, when he was asked in an appearance on a syndicated radio show Friday afternoon. Yemeni intelligence pinpointed al-Awlaki's hideout in the town of Al Khasaf, a Yemeni official said, speaking on condition of anonymity. "He was closely monitored ever since," by Yemeni intelligence on the ground, backed by U.S. satellite and drones from the sky, the official said. After three weeks of tracking the targets, U.S. armed drones and fighter jets shadowed al-Awlaki's convoy early Friday, before the lethal drone attack that killed four operatives, U.S. officials said, speaking on condition of anonymity to discuss matters of intelligence. A senior Yemeni tribal chief who helped bury the bodies said seven people were killed in the strike, their bodies totally charred. It was not immediately clear why the figures differed. The chief said the brother of one of the dead, who had given the group shelter in his home, had witnessed the strike. The Saudis are privately saying they provided key intelligence on al-Awlaki's location, which was in Yemen's eastern deserts near the Saudi border, said Bruce Riedel, an al-Qaeda expert and former CIA official now with the Brookings Institute. Khan, who edited a slick jihadi internet magazine, apparently was not targeted directly. The identity of the other two al-Qaeda suspects is not known, the Yemeni official said. Khan, who was from North Carolina, wasn't considered an operational leader but had published seven issues online of Inspire Magazine, a widely read jihadi site offering advice on how to make bombs and use weapons. 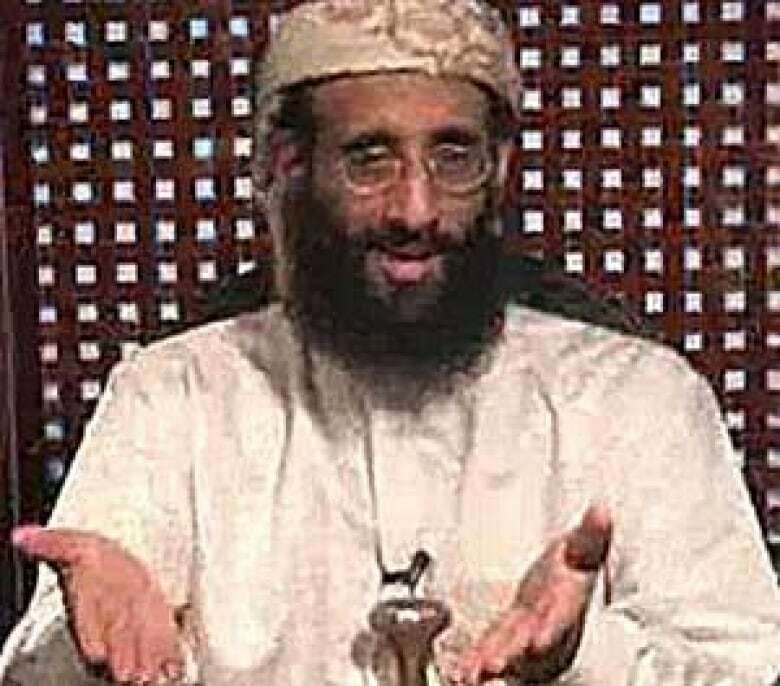 Anwar al-Awlaki, 40, a U.S.-born cleric was the Western face for al-Qaeda, after using social media in an effective way to connect with disaffected Muslims. Born in New Mexico to Yemeni parents. Recruited jihadists for al-Qaeda using social media to enlist supporters in the West. Invited to the Pentagon after the Sept. 11, 2001, attacks on the U.S. as part of an outreach program to Muslims, Fox News reported. He was considered an up-and-coming member of the community. Sent up to 20 emails to the alleged killer of 13 people in the 2009 rampage at Fort Hood, Texas. Suspected of contacts with a man accused in the failed bombing attempt on Christmas Day 2009 of an airliner destined for Detroit. "Inspired" the Pakistani-American man who pleaded guilty to the May 2010 Times Square car bombing attempt. Escaped at least two earlier airstrikes. Accused of terrorism in error, according to his father, who called him an "all-American boy." Al-Awlaki was killed by the same U.S. military unit that got Osama bin Laden. Al-Awlaki is the most prominent al-Qaeda figure to be killed since bin Laden's death in May. The airstrike, about eight kilometres from the town of Khashef, some 140 kilometres from the capital Sanaa, was carried out more openly than the covert operation that sent U.S. Navy SEALs into bin Laden's Pakistani compound, U.S. officials said. Counterterrorism co-operation between the United States and Yemen has improved in recent weeks, allowing better intelligence-gathering on al-Awlaki's movements, U.S. officials said. The ability to better track him was a key factor in the success of the strike, U.S. officials said. "I give President Obama tremendous credit on this," Republican congressman Peter T. King, the chairman of the House homeland security committee, told CNN. "He signed the order basically saying get Awlaki dead or alive, even though he was an American citizen." Al-Awlaki's death is the latest in a run of high-profile kills for Washington under Obama. But the killing raises questions that the death of other al-Qaeda leaders, including bin Laden, did not. 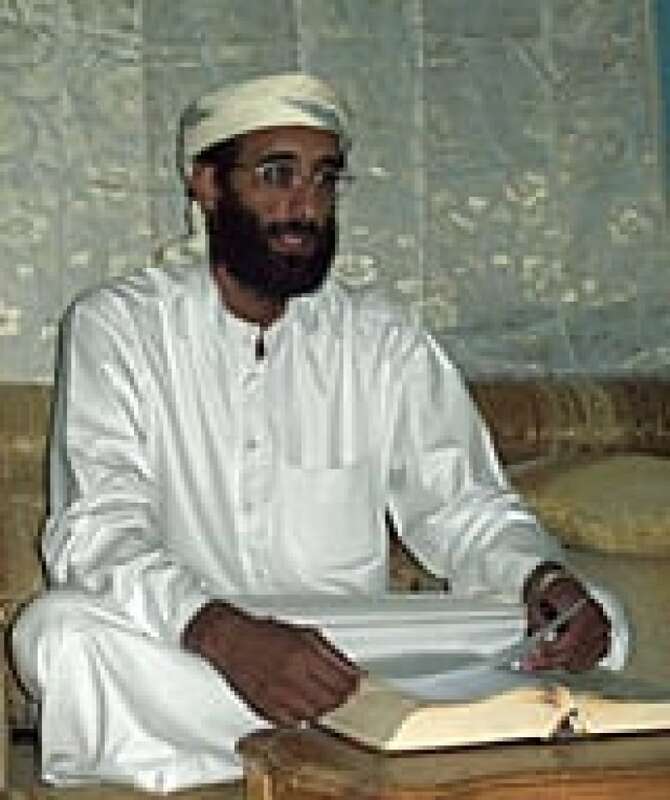 Al-Awlaki is a U.S. citizen, born in New Mexico to Yemeni parents, who had not been charged with any crime. Civil liberties groups have questioned the government's authority to kill an American without trial. U.S. officials have said they believe al-Awlaki inspired the actions of army psychiatrist Maj. Nidal Hasan, who is charged with 13 counts of premeditated murder and 32 counts of attempted premeditated murder in the attack at Fort Hood, Texas. In New York, the Pakistani-American man who pleaded guilty to the May 2010 Times Square car bombing attempt said he was "inspired" by al-Awlaki after making contact over the internet. Al-Awlaki also is believed to have had a hand in mail bombs addressed to Chicago-area synagogues, packages intercepted in Dubai and Europe in October 2010. Al-Awlaki's death "will especially impact the group's ability to recruit, inspire and raise funds as al Awlaki's influence and ability to connect to a broad demographic of potential supporters was unprecedented," said terrorism analyst Ben Venzke of the private intelligence monitoring firm, the IntelCenter. But Venzke said the group al-Qaeda in the Arabian Peninsula will remain the most dangerous regional arm "both in its region and for the direct threat it poses to the U.S. following three recent failed attacks," with its leader Nasir al-Wahayshi still at large. Al-Awlaki wrote an article in the latest issue of the group's magazine justifying attacking civilians in the West. It's titled "Targeting the Populations of Countries that Are at War with the Muslims." Al-Awlaki served as imam at the Dar al-Hijrah mosque in Falls Church, Va., a Washington suburb, for about a year in 2001. The mosque's outreach director, Imam Johari Abdul-Malik, has said that mosque members never saw al-Awlaki espousing radical ideology while he was there and that he believes Awlaki's views changed after he left the U.S. The United States has been deeply concerned that militants will take advantage of the country's political turmoil to strengthen their positions. In recent months, militants have seized control of several cities in Yemen's south. A previous attack against al-Awlaki on May 5, shortly after the May raid that killed Osama bin Laden, was carried out by a combination of U.S. drones and jets. The operation was run by the U.S. military's elite counterterrorism unit, the Joint Special Operations Command — the same unit that got bin Laden. JSOC has worked closely with Yemeni counterterrorism forces for years, in the fight against al-Qaeda. Top U.S. counterterrorism adviser John Brennan says such co-operation with Yemen has improved since the political unrest there. Brennan said the Yemenis have been more willing to share information about the location of al-Qaeda targets, as a way to fight the Yemeni branch challenging them for power. Other U.S. officials say the Yemenis have also allowed the U.S. to fly more armed drone and aircraft missions over its territory than ever previously, trying to use U.S. military power to stay in power. The officials spoke on condition of anonymity to discuss matters of intelligence.